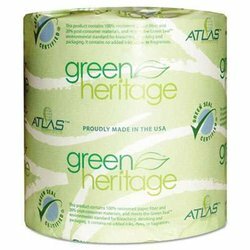 Atlas Green Heritage Bathroom Tissue - 500 Sheet - 2 Ply. This is our economical entry into the toilet tissue category. It is the best mix of price to quality that we could find.